Dr Parveen Akhtar joined Aston in September 2016. Previously she worked at the University of Bradford. Between 2011-2013 she was awarded a British Academy Research Fellowship, held at the University of Bristol. In 2010 she was a visiting scholar at Lahore University of Management Sciences before which she was an ESRC postdoctoral fellow at the University of Bristol (2008-2009). 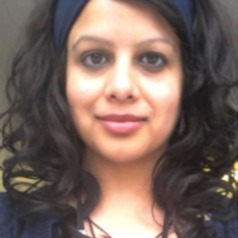 Dr Akhtar completed her ESRC funded PhD at the University of Birmingham (2008) during which time she held research positions at the Institut für die Wissenschaften vom Menschen Institute for Human Sciences, Vienna (2007); the Institute for Migraiton and Ethnic Studies, Amsterdam (2006); Sciences Po, Paris (2006) and the School for Postgraduate Interdisciplinary Research on Interculturalism and Transnationalism, Aalborg (2005). Dr Akhtar has published widely on Political Participation, Islam, Migration and Social Change in journals including; the British Journal of Politics and International Relations, the Political Quarterly and European Political Science. Her monograph, British Muslims Politics, was published by Palgrave in 2013. Dr Akhtar’s work has an international audience and she has presented her research in over 40 conferences in 15 countries. She makes regular contributions to public and media debates.